Visiting Matunga to see the Ganesha murtis is an annual ritual for me. I love clicking photographs of the beautifully decorated pandals. 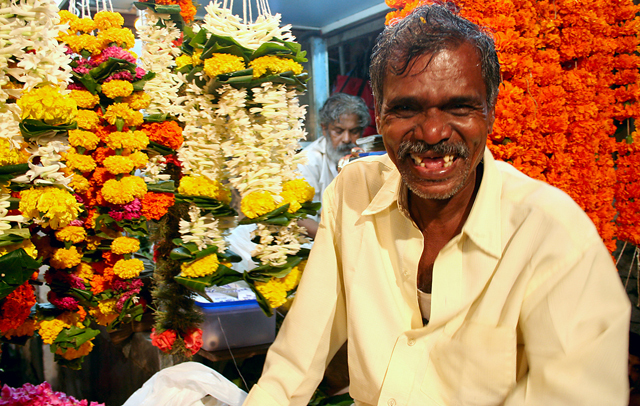 This time though I also turned my lenses on stalls that sell garlands in Matunga. Matunga, as some of you may know, is the temple district of Mumbai. Here’s one of the photographs. The rest on Zooomr.